Graphic designers who are professionals always desired to summon up their creative powers. They do so to present a unique design work before the client and the world that can showcase their best abilities. Moreover, it is only a creative design work such as logo design that can do justice to a business that the logo represents in the market. Have a look at a creative use of logo design elements for a company and its business. Creative use of logo design elements is the basis for a unique logo for a company and its business. When we talk about creativity in designing of logos it basically means to present a unique logo that has not been created before by anyone. But this is only a basic meaning. 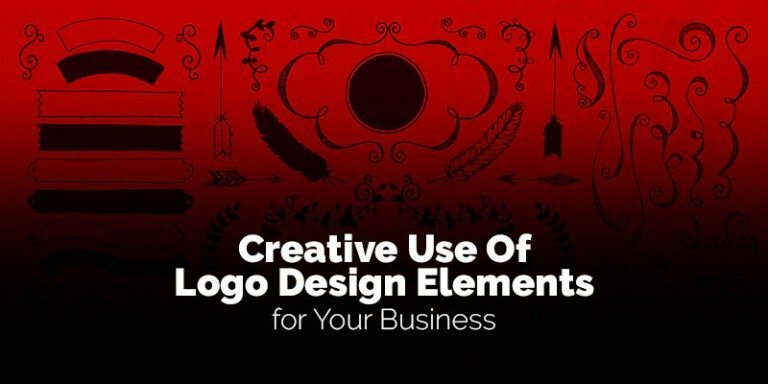 If we go a little deeper in the meaning, creative logo design is the one that uses imagination and inspiration from varied sources in order to come up with a unique design that is impressive with its aesthetic value. An experienced professional logo designer will get inspiration from whichever source it comes during daily chores or activities of life. But it is a fact that a creative designer will never settle for a routine stuff that we can find elsewhere. This means that use of clip art and photos found on the web are unthinkable for the designer. So, when it comes to using colors, the designer will study the business, its products and services and most importantly the customers. Colors convey a message very clearly and loudly. Hence, creative use of colors involves a deeper study of the colors that are associated with different industries. Then, the designer will manipulate the colors to give the design a new look. Similarly, creative use of fonts will even involve making own fonts or using the conventional fonts in a new way to create something new. Some designers will use letters to create a company name that also spells business. Clever use of negative space or white space is another technique that logo designers apply. Negative space is the one outside or inside of the main design. A creative designer uses this space to carve out some symbols that relate to the client’s business. So, which logo design are excellent examples of creativity in your opinion. Write to us as your comments. Next Next post: What To Consider to Design a Custom Logo?